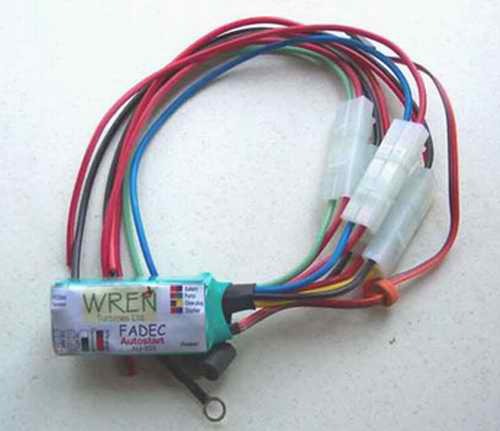 FADEC is an acronym that stands for ”Full Authority Digital Engine Control”. The term is used in the real and model turbine engine world to describe the engine control unit or ECU as many people might call it. 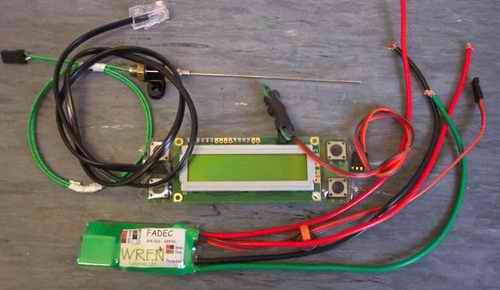 The F-A-D-E-C is a small computer that monitors and controls various functions on the model jet engine to start it, keep it running safely and efficiently, and shut it down. As was already discussed in the how a model turbine works section, we know a turbine engine’s speed is regulated by the amount of fuel it receives. Therefore, the FADEC’s main responsibility is controlling and regulating the fuel pump giving us safe and controllable turbine power. If you want an auto start model turbine engine, your FADEC computer will have to control the startup and shut down sequences as well. There is fun example of how this works further down this page. In order to perform these responsibilities, the ECU monitors various engine functions to ensure the engine is always running within the user programmed parameters. It will also detect any problems with the engine or corrupted radio signals from the transmitter to perform a failsafe shut down procedure. 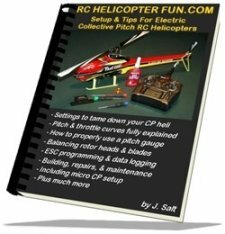 This failsafe function is explained in greater detail in the model turbine safety section. 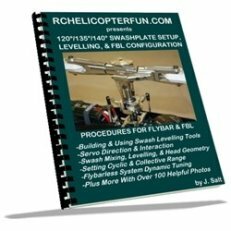 These measurements can be viewed in real time by plugging a laptop or a hand held data terminal into the FADEC output serial port. 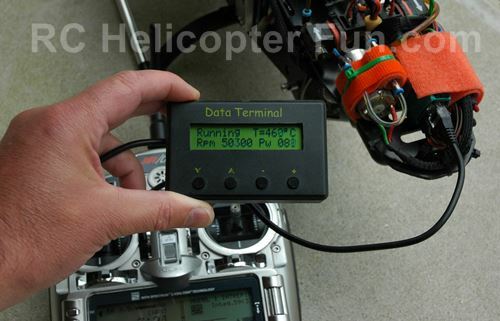 The hand held data terminal is small enough to fit in your RC field box and allows a field friendly way to readout engine data and program various ECU parameters to customize the ECU for different model turbine engines. You can also program the unit with the laptop. To get a better understanding of how a FADEC works and make this a little more fun, let’s pretend we are a model jet engine ECU, and go through a cold auto start sequence. We first get told by the receiver that the pilot has just given a start up command sequence on his/her radio. We check the engine temperature to confirm it is not too hot or too cold and start our stop watch. We turn on the electric starter motor to get the engine (compressor and turbine) spinning to create air flow though the turbine. We keep checking the engine speed – once up to the minimum start speed, we power up the glow plug and turn the propane and/or butane valve/s on – time still looks good. If this is a kerostart turbine engine; we open the electric fuel valve, power the the fuel pump at a very low delivery rate to provide just enough fuel for the staring sequence, power the fuel vaporizer/heater, and electronic sparker. We now watch the exhaust gas temperature very carefully and the turbine speed. Once the temperature starts rising and the speed starts increasing, we know combustion is taking place the turbine is starting to run under its own power – we turn off the electric starter motor and power to the glow plug. Check the watch, the time it has taken to get to this point and spool up time is within tolerances – let’s keep going. We continue watching the exhaust temperature rise and the engine speed. Once the temperature is high enough to vaporize the kerosene, we start up the fuel pump and start feeding kerosene into the engine and turn off the propane/butane valve/s or turn off the fuel vaporizer on a kerostart equipped engine. Now we watch the model jet engine speed very carefully and adjust the fuel pump output voltage to stabilize our engine speed at about 50,000 RPM – hooray we are at idle. We check our stop watch, about 12 seconds have gone by since we got the command to start – an eternity for an ECU, but just about right for a model turbine engine. We have to keep checking the speed and temperature several hundred times a second to make sure everything is running as it should according to our programming/algorithm and continue making small corrections to the fuel pump voltage to keep things running safely and smoothly. We also have to keep an eye on that throttle signal from the receiver in case "jet jock" has enough courage today to bring the throttle up and actually fly, or if he gets yelled at by the wife or neighbors to turn that noisy, stinky thing off and gives us a shut down command. Not the most exciting life is it, but it demonstrates what the FADEC does and just how important it is. This is a very simple explanation but it's sort of a fun way to look at model jet engine operation from the prospective of the ECU. 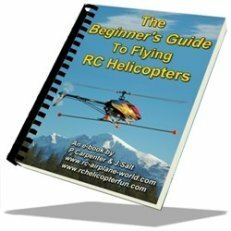 It should also give you a much better understanding of how a RC turbine engine works and whet your RC turbine helicopter appetite. The video below demonstrates a FADEC controlled auto start sequence.